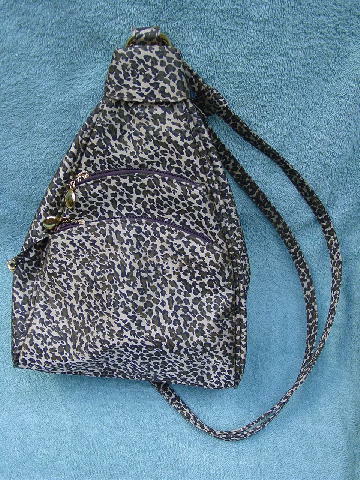 This never-used animal print backpack/purse has a synthetic fabric with a smooth surface (it has a textured appearance though). The front has two zippered deep compartments with round gold-tone pulls. There is a fabric strip which has a safety hook attached by the lower compartment. 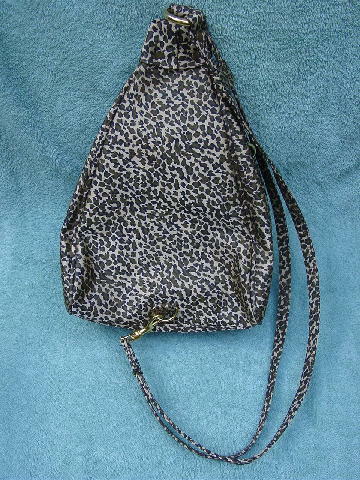 It has a side zippered opening and a full brown fabric lining with an interior 8 1/2" long zippered pocket. 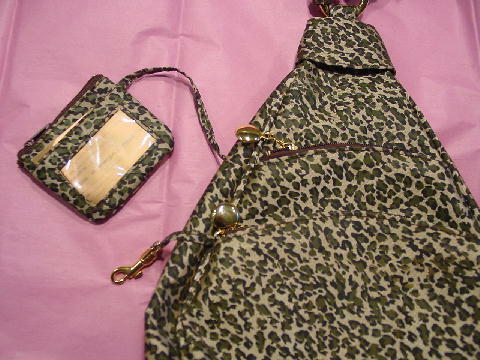 There is also a long interior strip which is attached to a small coin purse with a front see-through card slot. It has two long fabric straps (32") attached to the bottom by a safety hook closure. The last picture shows the accurate color.